Ideally, tips are given to a person who performs good service. Of course, the tip is in addition to be bill. In some situations, tipping is so common that if you don’t leave one, people will frown upon it. Therefore, you should consider a tip mandatory in those situations. You may be surprise to know that waiters at the restaurants typically get paid much less than the minimum feredal wage, often $2.13/hour. That is because they are expected to get tips from the customers. Therefore, please make sure to tip well when you visit a restaurant. In some places, when you receive the bill, the tip may be included automatically. Even the credit card slip where you sign the amount may have several suggested tip amounts calculated for you for your convenience, such as a 10% tip amount, a 15% tip amount, or a 20% tip amount. Please note that many Indian restaurants don’t give the tips to waiters when you include it in the credit card slip. Therefore, it is much better to tip with cash. You should tip a taxi driver around 10% of your taxi fare. The taxi driver should usually help you load and unload the bags. 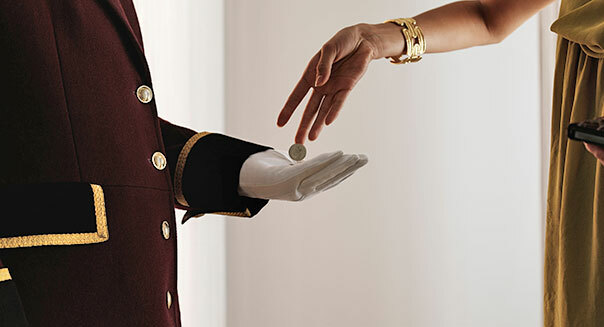 When you reach the hotel, you should tip $1 to $2 per bag to the bellboy or doorman who handles your bags. 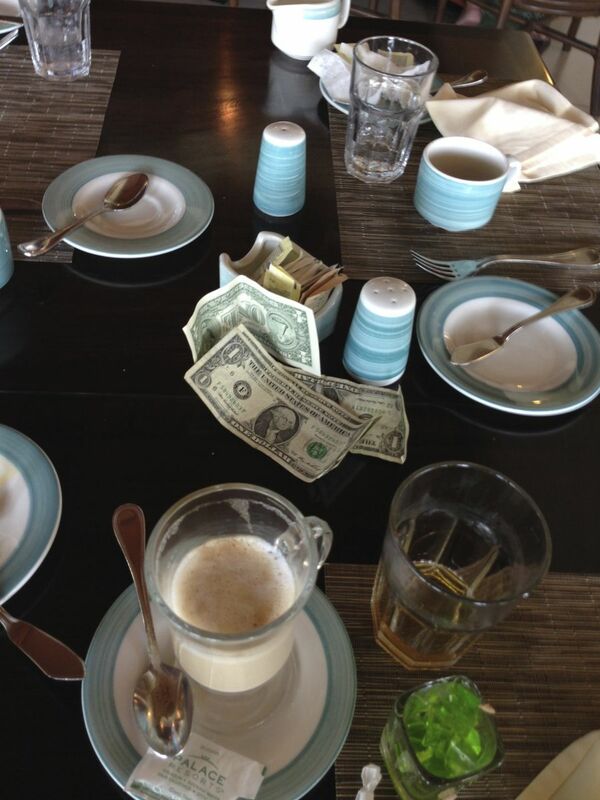 Unless you are staying in a hotel for several nights, you don’t usually tip the housekeeper. You don’t tip the desk clerk.